14' x 27.87" x 6.8"
core is pressure molded using hight-quality carbon and fiberglass with a PVC reinforced standing area. I purchased a 2015 board in the year 2016. That is why it is late in posting. My favourite board to date, handsdown! This is a cheat review, meaning, I've come across a great review for this board, that I will share with you here. I couldn't have said it better myself. Boardworks uses Thermal Epoxy Compression – dual-density core (EPS is bonded to a high density *divynicell outer shell), fibreglass and epoxy resins technology (T.E.C.). A sandwich molded stand up paddle board. Boardworks claims to use the finest epoxy resins and a super light core to produce a very good strength to weight ratio. The Raven 2 has been one of Boardworks most popular models. We can see why. This board feels very light for it’s size, super buoyant and super stable for it’s 29” width. We weighed in the Raven 2 at 33 1/2 lb or 15.2 kg. With each stroke you can feel the consistent glide and speed it is designed for. Feel a smooth, long glide on flat water. The nose cuts through small chop nicely. This board is not recommended for a first-time paddler although, for the athletic beginner it won’t take long to get used to this stable, buoyant board. The patented “LiftSUP” handle makes carrying simple and easy. Easily attach locking systems to the handle when it is in its raised position. The bamboo veneer and Northwest Native American inspired graphics gives a thoughtful aesthetics. The following video talks about the 12' 6" line of Raven boards. all-round - 11'2"’ x 30 1/2” x 4 7/8” epoxy board. and rated to handle 130 kb or 287 lbs. Three fin set-up with the option of using only the single centre fin for cruising. This board is known for its quality workmanship and sturdy build. It is hand shaped and has a full length rocker. The makers use Suplove's "compressed cell technology" basically means it is a light board. The first thing noticed is how light the board is for its length. There is ease in paddling aggressively on this board. Comfortable and easy paddling flat water. Holds well in river swells of 5". It glides nicely and boasts plenty of bouyancy. It is stable and stays on top of the water. The deck pad is appreciated, on this board because it drys quickly. It is a dense poly material that does not absorb water. You can wipe it off and place it in its bag right-a-way without the concern of bag mold/mould build up. There is not one negative review to be found (to date). We an not comment on its surfing ability at this time. Seabreeze.com (a highly respected website) states that this is one of their most selling popular boards. all-round - 10’ x 32” x 4 1/2” epoxy board with bamboo veneer top and bottom. Made in Taiwan. Designed and tested in Canada and the U.S. The specifications dictate the quality of this board but the real test is owning one. The workmanship of the board and paddle is visibly flawless – smooth glassing and clean lines, tidy paint job. The board bag is a custom fit so no excess space. 3 handles plus a shoulder strap allowing for multiple ways to carry. The zipper length is very generous allowing for the bag to open flat. It has a handy zippered pocket and zippered opening at fin box. The leash is constructed in a typical manner with swivel at the ankle strap and sturdy components. It has a good wide ankle strap with secure, sturdy, high grade velcro closure system. This all-around stand up paddle board is truly designed and built for women. 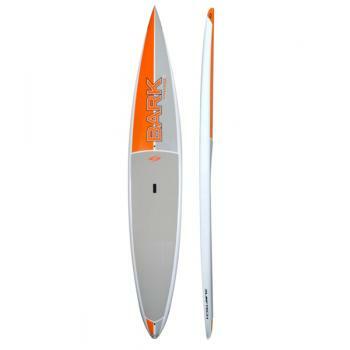 Its planer hull and ability to switch from one to three fins make it a dual purpose flat water or wave board. Be sure to demo this one—It may even exceed your expectations. I've read a review by a fellow who tried SUP surfing on his girlfriend's Paiwen. He raved about how well it handled the waves. But that is just one of it's strong points. It handles beautifully on flat water. This epoxy board is quality crafted and beautiful to look at. The ease of handling this 10’ board is a real pleasure. This is my travel board when we get-a-way with our truck and camper. It happens to fit nicely on the camper bed in it’s custom fit cover so I don’t have to strap it down. Once I get it to the water it becomes my “magic carpet.” The sum of it’s qualities is certainly impressive.